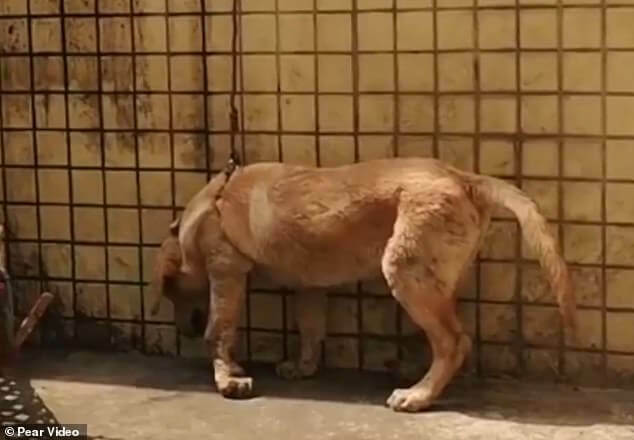 According to the Daily Mail, the abused dog was discovered by animal rights’ volunteers in Guangzhou. 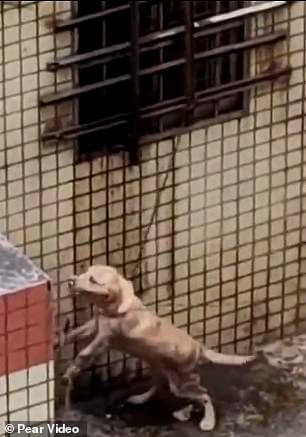 The heartbreaking photos showed the dog tied to the window grill with a rope around his neck so short, he was forced to stand. 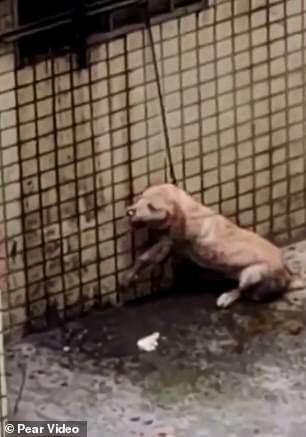 In a disturbing video released on Thursday by Pear Video, the dog’s legs are shown tangled in the rope; he was exhausted and in pain struggling to free himself and barking furiously screaming for help. 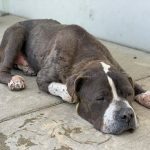 Neighbors who saw the dog struggling to free himself reported the situation to local rescuers and added the dog had not been fed or given water regularly. 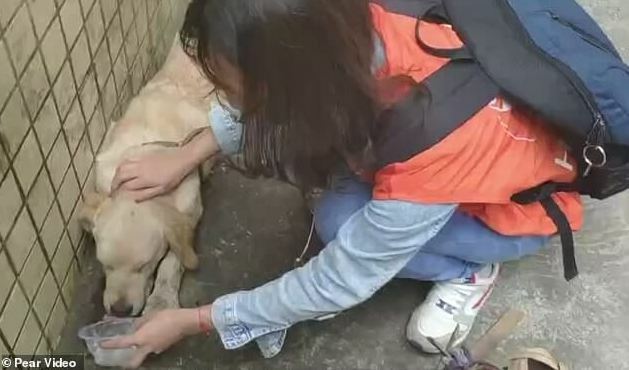 When rescuers arrived and freed the dog, the pup was so exhausted he was not even to lift his head to drink water. 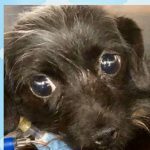 When confronted with the abusive treatment of the dog, the owner stated he was punishing his dog for “soiling indoors.” The owner finally agreed to allow rescuers to take the dog to a veterinarian, and are in the process of negotiating with the owner to relinquish ownership of his dog. 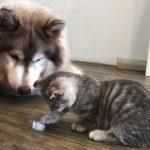 Unfortunately in China, there are few laws to protect pets, although there is legislation protecting aquatic and land based wildlife. 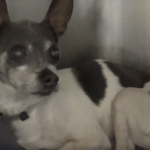 Where there are no consequences for the intentional abuse and neglect of pets, animal cruelty will continue. 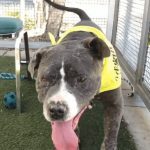 Follow the National Pet Rescue on Facebook for the latest animal news.